Printable wall art is an easy and affordable way to instantly add to your home decor. You can download the file instantly – no waiting for shipping! 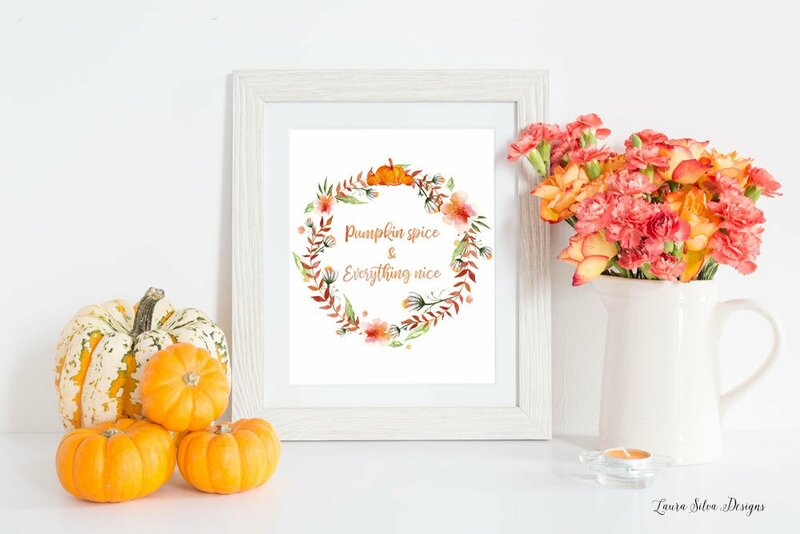 This floral pumpkin spice sign is perfect to use in your fall holiday decor from September through Thanksgiving. This sign can be printed up to size 16 x 20 without losing quality. You will receive both a high resolution .jpeg and .pdf file for download. The final order will be emailed to you in high resolution .jpeg and .pdf format. This listing is for the file only, NOT a physical print! The file does not include the frame – this is for presentation purposes only.